Below you will see our breeding plan for the last half of the 2019 season. We are extraordinary happy with our goals we have set!! 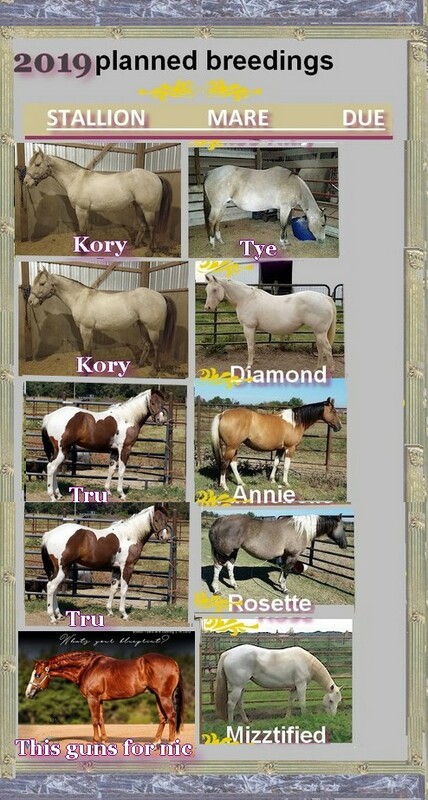 Please watch for them to be born, as they maybe be available for sale after pricing within 30 days. Contact me if you are seriously interested in a prospect that will take you where you want to be! !